I visited 19 Greek Street a new gallery space in Soho at the weekend as part of the London Design Festival. This exhibit of a ‘living’ chair structure was fascinating. 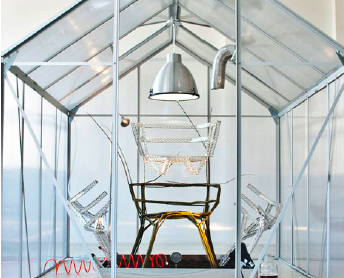 The chair is positioned in a greenhouse complete with soil. After the removal of the metal structure – described as the “corset”, the unique chair is revealed. 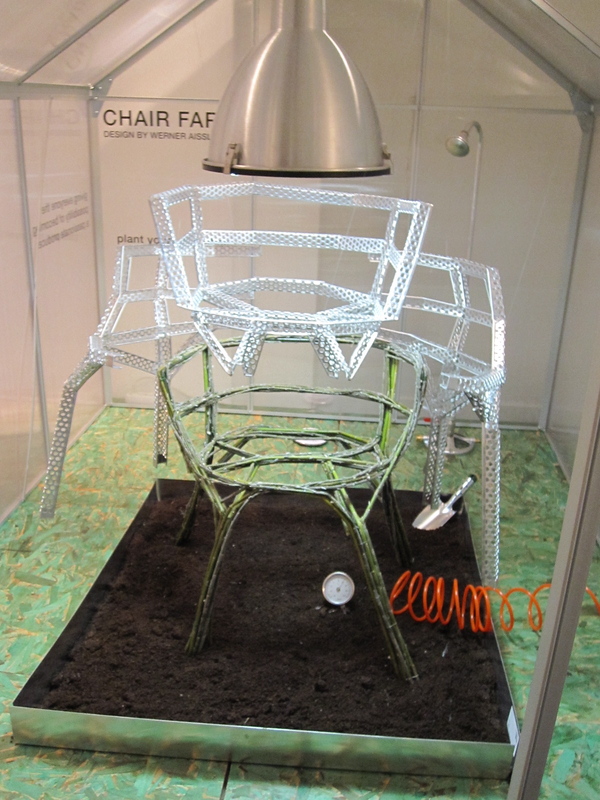 The greenery has grown into the mould to form a structure akin to a chair. “The chair is no longer produced in the classical sense of the word. Instead, it grows of its own volition in a greenhouse or on a field. When it has reached maturity, the steel corset is opened and removed, revealing a naturally grown chair. The title of the project by this Berlin-based designer, who imagines huge “product plantations” in the future, reflects this utopian means of production: the “chair farm””. 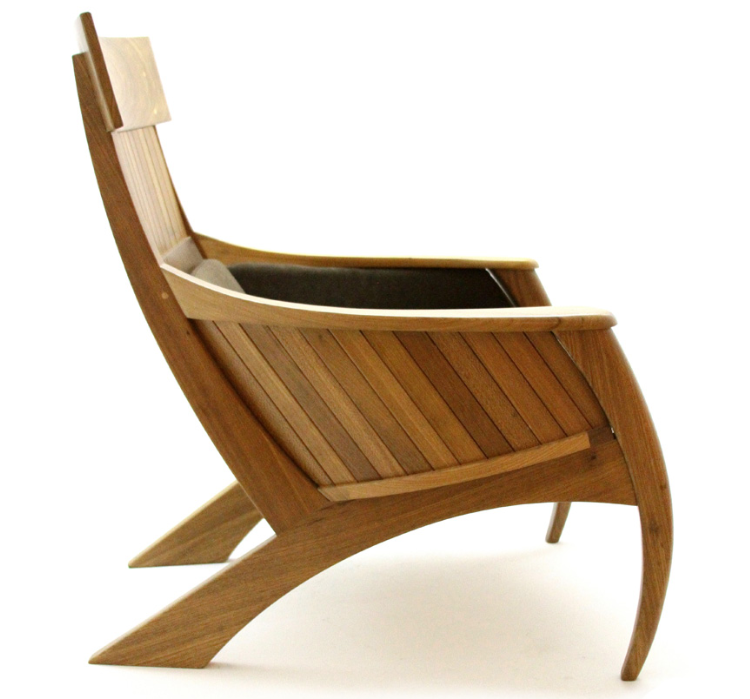 Roccapina V Chair by Yard Sale Project made from colour graded hardwoods. Photo courtesy of YardSaleProject. The unique block design is put together piece by piece, held together by glue and reinforced by screws. The chairs are made with absolute precision, starting off as smooth distinct shapes and moving into a pixelated jagged edge. Despite its chaotic appearance, there is a lot of order in the making of the chair each block adjoining to another is of a different colour. 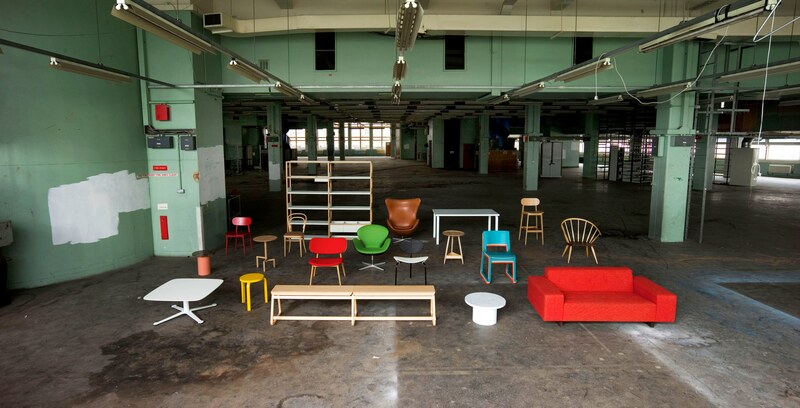 The designer Ian Spencer stated that “There are actually a lot of rules to the chair, but an absence of predictability. It’s not anarchy.” The YardSaleProject exhibited at London’s Designersblock at the Southbank Centre last weekend. Roccapina V Chair back view. Photo courtesy of the YardSaleProject.